Wax Motif has become a pioneer for the G-House movement, working with Destructo for his album on Interscope with the likes of Ty Dolla Sign, YG, Yung Thug, Problem, Kurupt and Warren G. His DJ sets already incorporate this style heavily into his mixing, and 2015 will see a lot of original productions in this vibe. 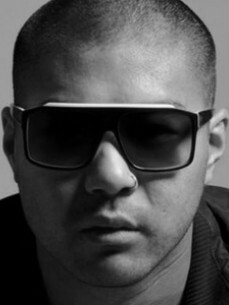 The super-fun “Love Ting” (produced with Anna Lunoe), deeply pleasurable “Go Deep” (with Neoteric) and his solo “Shimmy Shake” EP have attracted significant attention domestically and abroad, with “Go Deep” reaching top 5 status on the Beatport Electro House chart and the tracks receiving heavy airplay on BBC Radio 1, Capital, Kiss FM, Scion, Triple J, Channel V and Rage as well as being licensed to several compilations around the world. His recent collaboration is currently in rotation on Sirius XM and hit the top 10 of Beatport overall.